Okay, if I’m going to be really honest, I can tell you that my idea of a “night in” would actually be more along the lines of Netflix & Craft. I think I’ve finally reached that age where my evening consists of relaxing with a pot of tea and pulling out whatever craft-in-progress I decide to work on. With cats at my side and Netflix in the background. I like to believe I haven’t achieved full crazy-cat-lady status yet though. I do things. 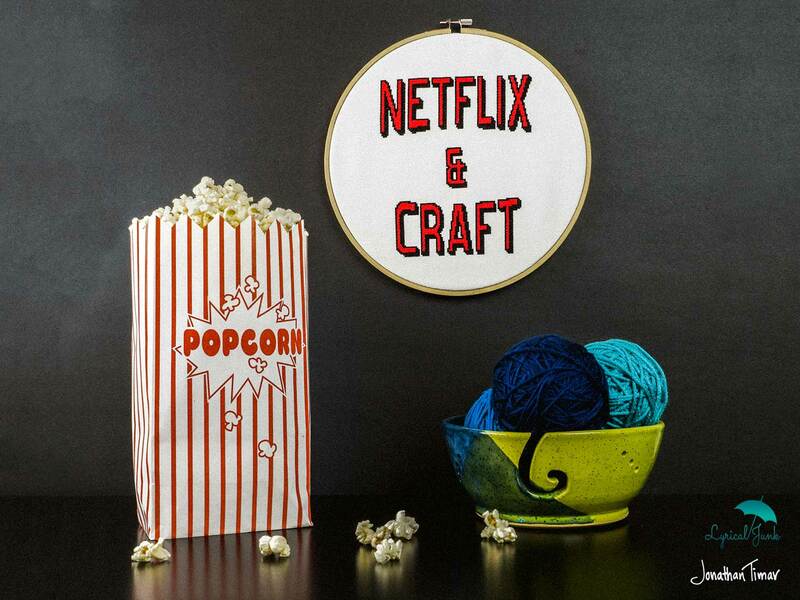 My best friend comes over often…and we craft, with tea and Netflix. 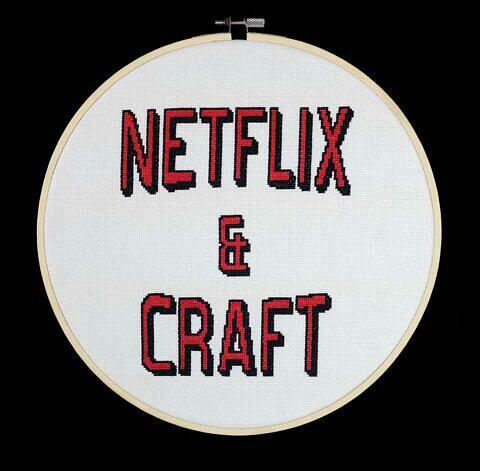 And sometimes me and the husband sit down and watch Netflix, sans crafts. And usually sans chill, coz we actually like to watch things. jk, I do actually have a normal life; I think. More on my supposed normal-ness another time. 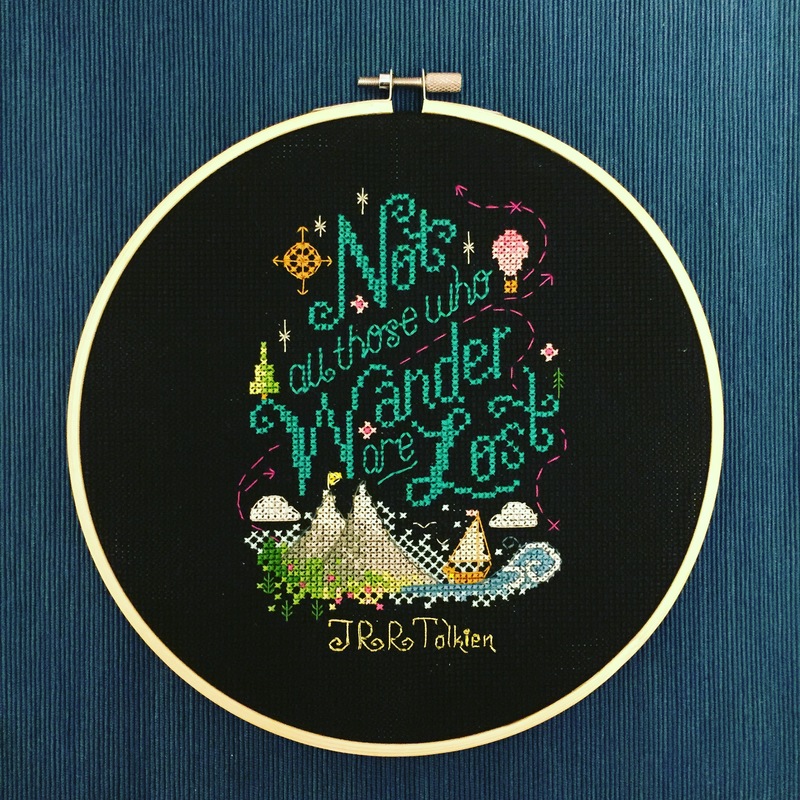 I can probably take you back through every single craft I have ever completed or currently have in progress and tell you what TV show or movie I associate with it. 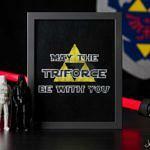 At first I thought I couldn’t focus on a show while crafting, whether it was crochet, cross stitch, or sewing. But all it took was a bit of practice and before I knew it I had finished entire series of shows. And was actually making a dent in my increasingly large pile of WIPs. I worked on the beginnings of my very first HAED through A Series of Unfortunate Events. Some progress on a Navajo pattern I picked up on a road trip through Arizona a couple years back and a New York City skyline pattern was made while getting caught up on Scandal. 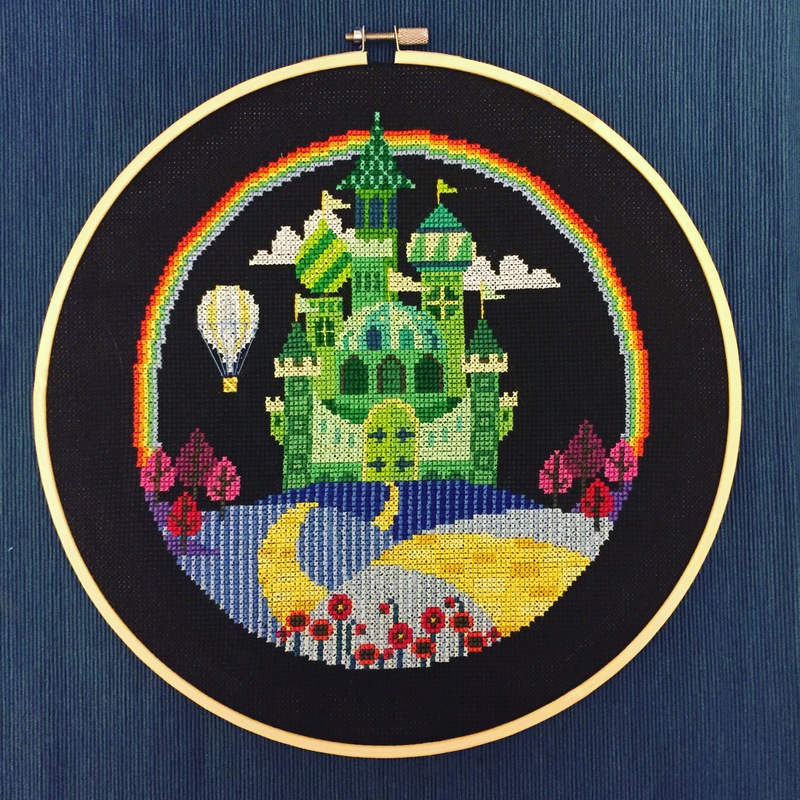 This stitch-up of The Emerald City was a combination of Jessica Jones and The Bletchley Circle, accompanied by a lot of chicken noodle soup and ice cream after having my wisdom teeth out. It’s been a while (aka, many shows ago) since I completed this stitch-up of one of my favourite quotes by Tolkien. I *think* it was accompanied by some Once Upon A Time. The only thing I haven’t mastered the art of Netflix and Craft in yet is jewelry-making. The multi-tasking is too much for me to focus on. The other day I was inspired by what I thought was a very great idea. With some photoshop help from the husband and some testing through The Fall, I came up with the following pattern. 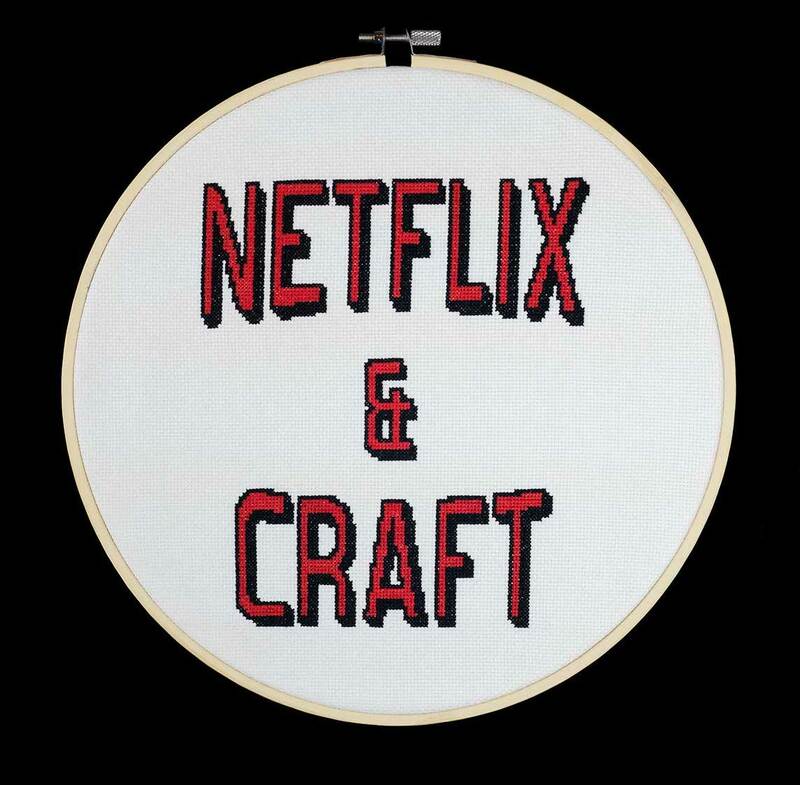 And most importantly, it both embodies and enables Netflix and Craft-ing! The pattern is available on my shop.